Saskia’s has the ultimate indulgence in facial treatments. 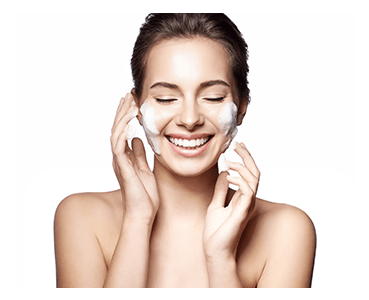 Offering Australia’s number one cosmeceutical skin care range, ASAP offers scientifically proven skin care solutions for women and men of all skin types and ages. Using active ingredients such as AHAs, BHAs, vitamins A, B, C and antioxidants you will see visible results that are fast acting, simple, affordable and effective. If it’s a skin concern you have that you would like treated or if it’s simply just “Me Time” or both you are after, choosing one of our beautiful ASAP facials will have you feeling rejuvenated and looking refreshed. An effective treatment, designed specifically to help young skin prone to breakouts. Significant hormonal changes can occur during the teen years, resulting in increased oil production and congestion. This treatment will decongest the skin and stimulate the healing process, revealing a clearer, cleaner, glowing complexion. 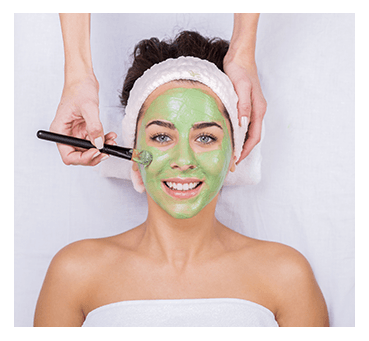 Clients concerned with sensitivity in their skin are often reluctant to have facials. This gentle treatment uses specially selected ASAP products designed to hydrate sensitive skin and stimulate cell turnover, leaving skin calm and soothed. This relaxing and simple skin treatment will help minimise the signs of ageing, reduce the appearance of fine lines and improve skin tone and texture, revealing a clearer, firmer looking skin. ASAP version of the fountain of youth. Using active ingredients and antioxidants, this revitalising treatment, ideal for mature skin, promotes cell turnover, stimulates collagen, and reduces pigmentation. Asap products work together to prevent the signs of premature ageing by minimising fine lines, thickened skin and uneven skin tone. The ideal treatment to plump and saturate life back into dull and dehydrated skin, this super hydrating facial will cleanse the skin of impurities and allow asap products to infuse deeply into the skin, leaving a bright, hydrated and younger looking complexion. Immerse your skin in ultimate hydration.